All Sin Punished—Whether we have had the written law or not, all are alike counted sinners. “The wrath of God is revealed from heaven against all ungodliness and unrighteousness of men.” (Romans 1:18) The heathen are declared to be without excuse; and if they who have not the written law are without excuse, they who have the law in their hands are of course far more inexcusable. God is just. “We are sure that the judgment of God is according to truth against them which commit such things.” (Romans 2:2) Yet all who sin, whether in the law or without the law, are to be punished. This is sufficient to show that “without law” does not mean without any knowledge of God. The first chapter settles that. The trouble with too many who read this statement that all shall be punished, and who think that it does not seem just, is that they forget, or are ignorant of, what is contained in the first chapter. It is a great mistake to take any single verse of the Bible and separate it from its connection. Strict Impartiality—That means strict justice. Sinners will be punished, whether they live in heathen lands or in so-called Christian lands. But no one will be judged by that of which he knew nothing. God does not punish men for violation of a law of which they knew nothing, nor does he hold them accountable for light that they have not had. It is very plain that those who have the law must know many things that are not known to those who do not have it in written form. All men have light enough to know that they are sinners; but the written word gives those who have it a knowledge of many particulars of which those are ignorant who do not have it. Therefore God in his justice does not hold the latter accountable for many things for which the former will be judged. “As many as have sinned without law shall also perish without law; and as many as have sinned in the law shall be judged by the law.” (Romans 2:12) The man who has rejected light, whether it be little or much, is obviously guilty. The Root of Sin—To some it seems unjust that those who have had but comparatively little light should suffer death for their sins, the same as those who have sinned against the greatest light. Their difficulty arises from the fact that they do not consider what sin really is. God alone is good. (Luke 18:19) He is the source of goodness. Whatever goodness ever appears in man is only the working of God in him. Whom does he address? Every one who professes to know the Lord, no matter by what name he is called; every one who thinks himself fully qualified to instruct others in the way of the Lord. “Called a Jew”—It should not be overlooked as a trifling matter that the apostle does not say, “Behold, thou art a Jew,” but, “Behold, thou art called a Jew.” People are not always what they are called, nor what they call themselves. Beginning with the seventeenth verse the apostle settles the question of who are Jews. Before we have finished the chapter it will seem that by using the word “called” he meant to intimate that the one addressed and described in the following verses is not really a Jew, and is not considered so by the Lord. Claiming to Be Jews—In Revelation 2:9 we read, “I know the blasphemy of them which say they are Jews, and are not, but are the synagogue of Satan.” And again, “Behold, I will make them of the synagogue of Satan, which say they are Jews, and are not, but do lie; behold, I will make them to come and worship before thy feet, and to know that I have loved thee.” (Revelation 3:9) From this we see that to be a Jew indeed is so high an honor that many will falsely claim it. Yet the people called Jews have been held in contempt by the greater part of the world, for many hundred years. At no time and in no part of the world, since the New Testament was written, has it ever been an object for anybody to claim that he was a Jew, in the common acceptation of the term. The Jews as a class have never been in such honor that it would benefit one’s prospects to be called one. But it has been and is very often an advantage for a man to be known as a Christian, and very many have falsely made the claim, in order to better their business prospects. Boasting of God—This is something different from making one’s boast in the Lord. (Psalm 34:2) Instead of rejoicing in the Lord’s salvation, the Jews boasted over their superior knowledge of God. They did indeed have more than others, but they had nothing that they had not received, yet they boasted as though they had not received it. They glorified themselves, rather than God, for the knowledge that they had; and therefore they put themselves in the condition of the heathen who “when they knew God, glorified him not as God, neither were thankful, but became vain in their imaginations.” Whatever reader is inclined to censure the ancient Jews for their vain boasting, let him remember how he himself has often felt on comparing himself with the inhabitants of heathen countries, and with the “lowest class” in his own land. God’s Will His Law—The apostle says that the Jew knows the will of God, because he is instructed out of the law. This is sufficient to show that the law of God is his will. Indeed, no argument should be needed on this point. The will of any government is expressed in its law. Where there is an absolute ruler, his will is always law. God is an absolute ruler, although not an arbitrary one, and as his will is the sole rule of right, it follows that his will is law. But his law is summed up in the Ten Commandments; therefore the Ten Commandments contain a summary statement of the will of God. The Form of Knowledge and Truth—Although the Ten Commandments contain a statement of the will of God, which is the perfection of wisdom and truth, they are only a statement, and not the thing itself, just the same as a picture of a house is not a house, although it may be a perfect picture. 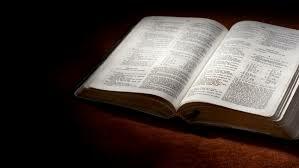 Mere words written in a book or graven in stone have no life; but we know that the law of God is life everlasting. Only in Christ can the living law be found, since he is the only manifestation of the Godhead to man. Whoever has the life of Christ dwelling in him, has the perfect law of God manifest in his life. But he who has only the letter of the law, and not Christ, has only the form of knowledge and of truth. Thus, the law is often rightly said to be a photograph of the character of God. But a photograph or other picture is only the shadow of the reality; it is not the very substance. He who has Christ has both the form and the substance, since one can not have a thing without also possessing its form. But he who has only the statement of the truth, without Christ who alone is the Truth has the form of godliness without the power thereof.